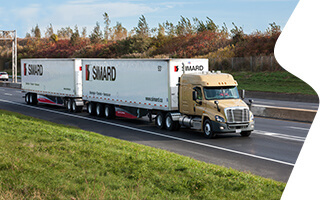 Since 1997 Simard has provided outstanding transportation and warehousing services in the Toronto area. Our facilities are located midway between CN and CP rail access and Pearson International Airport, with convenient access to highways 401, 403, 407, and 409. We also provide customs bonded warehousing and transshipment services. The expertise you need to optimize supply chain solutions.